Welcome to The Central Sierra South Area of Narcotics Anonymous. The purpose of our site is to provide an up-to-date list of NA meetings in the Central Sierra South Area as well as to provide a place for announcements, activities, area service opportunities, contact information and more. If you think you may have a problem with drugs of any kind, please call our HelpLine (209) 533-2348 or come to one of our meetings. This simple act can be the start of a new life free from the constant pain of addiction. 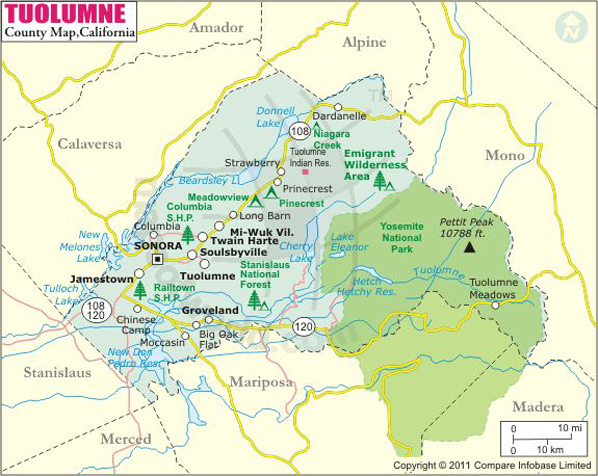 Central Sierra South is located in the foothills north of Yosemite in Tuolumne County. We are a part of the California Midstate Region of Narcotics Anonymous. NA is a non-profit fellowship or society of men and women for whom drugs have become a major problem. We are recovering addicts who meet regularly to help each other stay clean. This is a program of complete abstinence from all drugs. There is only one requirement for membership, the desire to stop using. We suggest that you keep an open mind and give yourself a break. Our program is a set of principles written so simply that we can follow them in our daily lives. The most important thing about them is that they work.